Anakin Skywalker: Come on, Rex. Captain Rex: Aaaaaaaah! 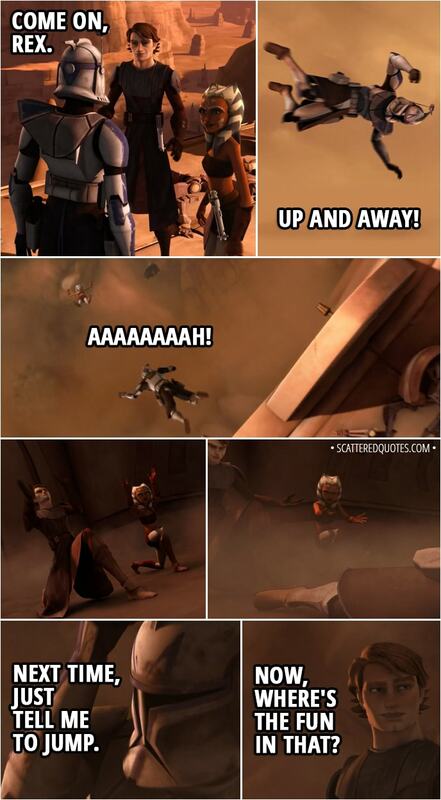 (Anakin and Ahsoka slow his fall and he lands safely) Next time, just tell me to jump. Anakin Skywalker: Now, where’s the fun in that? 10.8.2018 Next time, just tell me to jump.